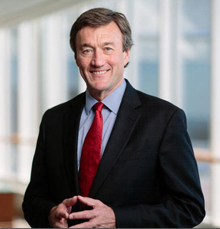 Genomics and individualized medicine are the future of health care, and the future is now. The field of cancer research has seen great leaps forward in genomics and individualized medicine in recent years. With the availability of more comprehensive human genome data from sources such as the Cancer Genome Atlas, clinicians are now able to rapidly and inexpensively sequence an individual patient’s tumors. This has created new opportunities for developing cancer treatments – and new hope for cancer patients. Nearly two years ago, in partnership with the Mayo Clinic Center for Individualized Medicine, the Mayo Clinic Cancer Center launched its first genome-guided protocol for newly diagnosed breast cancer patients in a neoadjuvant trial. In the video below, Judy Boughey, M.D. and Matthew Goetz, M.D., co-chairs of The Breast Cancer Genome Guided Therapy study, or BEAUTY study, explain how physicians are tailoring chemotherapy to breast cancer patients based on their individual genomes and the genomes of their tumors. In phase I of the BEAUTY study, researchers are studying participants to look for common mutations that allow some tumors to adapt and thrive during chemotherapy. This information is helping doctors identify new targets for potential drug development and treatment strategies. Women diagnosed with "high-risk" cancers who are scheduled to receive neoadjuvant chemotherapy have their healthy genome and breast cancer cells sequenced before treatment and then receive the commonly prescribed chemotherapy to shrink the tumor. After surgery, the residual cancer cells are sequenced again to evaluate how they have mutated and adapted to chemotherapy. We are also propagating each patient’s tumor tissue by implanting cell lines in immune-compromised mice before and after chemotherapy. By using these mouse "avatars'', researchers are able to study the effects of both approved and new anti-cancer drugs on individual patient tumors and identify the best treatment without risk of harm to the patient. We have already launched a similar project for prostate cancer, and we are excited about extending this approach to other malignancies. 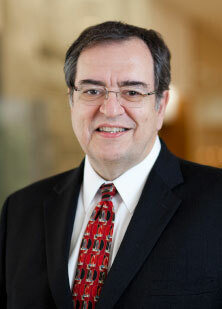 Editor's note: Robert Diasio, M.D., is director of the Mayo Clinic Cancer Center.